California Golden Overtones gives heartwarming performance in spring show TonesSnaps! At the foggy hour of 7 a.m., the ASUC Superb concerts department was already awake and setting up sound equipment on the steps of Doe Library. 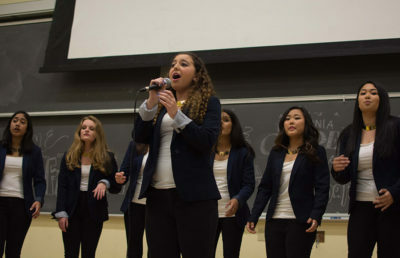 Clad in their black “Event Staff” windbreakers, they prepared for one of their biggest shows of the year: the Cal Day concert. In between weekends one and two of Coachella, Allah-Las graced Berkeley with its nostalgic vibes. The band’s ‘60s psychedelic rock sound, the smell of reefer burning in the crowd and the abundance of flood pants transported Memorial Glade to a time in the past. The band opened its set with “Busman’s Holiday” from its 2012 self-titled album, Allah-Las. A fitting opener to any show away from home, the song explores the plight of a man who has left his wife and family to work. When he comes home, he sees how everything has changed since he left “to try to get (his) hands on gold” — a reality that’s not too distant for the men of a touring band. Later in its set, Allah-Las’ performance of “Sandy” exemplified the nuances of the band’s style. 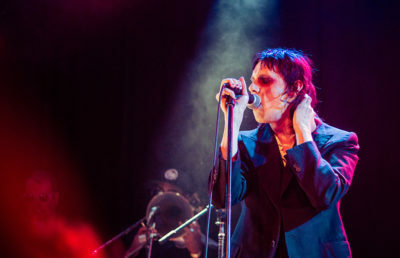 The gravely whine and sonorous echoes of the member’s vocals were reminiscent of the retro rock bands who inspired their music. As the set progressed, the technical mastery with which the musicians craft their songs became clear. As vocalist and guitarist Pedrum Siadatian riffed effortlessly through the set, Allah-Las’ brilliance came to life. The quartet first met when three of them were working together at Amoeba Music in Los Angeles. As their band grew out of the heart of Southern California, their sound embraced the spirit of Californians. When they performed “501-415,” they took on the fluent language of the California highway system. The reference to these freeways almost carries the satirical tinge of the SNL skit, “The Californians,” but the solid sound Allah-Las spins saves the song from falling into that trap. 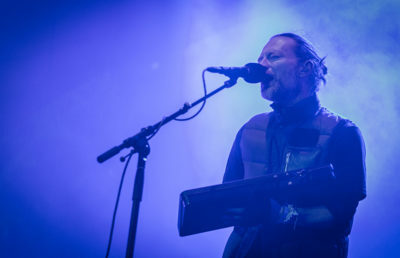 While the band typically consists of two guitarists, a bassist and a percussionist, its Berkeley performance incorporated a touring keyboardist. At certain points in the set, he played a cream-colored pedal steel, an instrument more synonymous with country and bluegrass. The addition of these sounds from outside of their genre added to the dynamism of the band’s works. The crowd came to life with a chant for Rodney. While the music of Allah-Las is more suited for grooving and head bopping, it didn’t stop the crowd from creating a fully fledged mosh pit or sending people crowd surfing over a wave of hands. After Allah-Las’ final piece, a demand for “one more song” got them to come back on stage to really close the show with an encore of “Every Girl,” a bonus track from the 2014 album Worship the Sun. Although Rodney had disappeared from the stage at this point, his spirit was kept alive as percussionist Matthew Correia played drums and the maracas at the same time. Fans were so excited that they sprung over the metal barriers surrounding the band to dance. Allah-Las provided an excellent parallel to Cal Day; the central theme of the band’s music evokes a similar spirit. The quartet exists to honor music’s past while creating a sound that reimagines the fading art of garage rock. 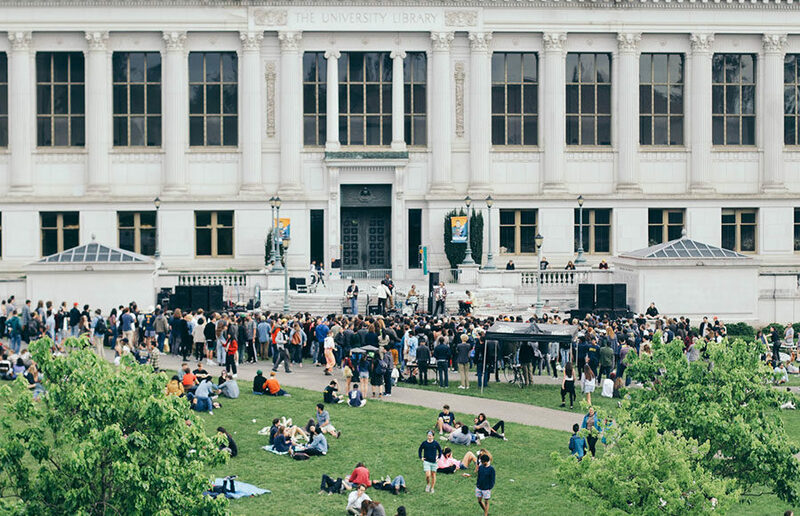 On a day to celebrate what has made and will make UC Berkeley such a unique place, Allah-Las provided the perfect soundtrack.